We have been busy here! I am in the midst of more projects at once that I have ever been, but it is all exciting and I can’t wait to share! You know those Ecards that show a woman sobbing saying how sad she is that Pinterest was invented after she had her wedding? Well, that’s how I feel about Madalyn’s room! 🙂 I didn’t really get into Pinterest until about May of last year which was a month before Madalyn was born. I’m very much a planner and so her room was already set and ready to go by that point! I did do a few little creative things, like clothing size dividers in her closet, but for the most part I have always felt that her room was a little bit lacking in creativity. 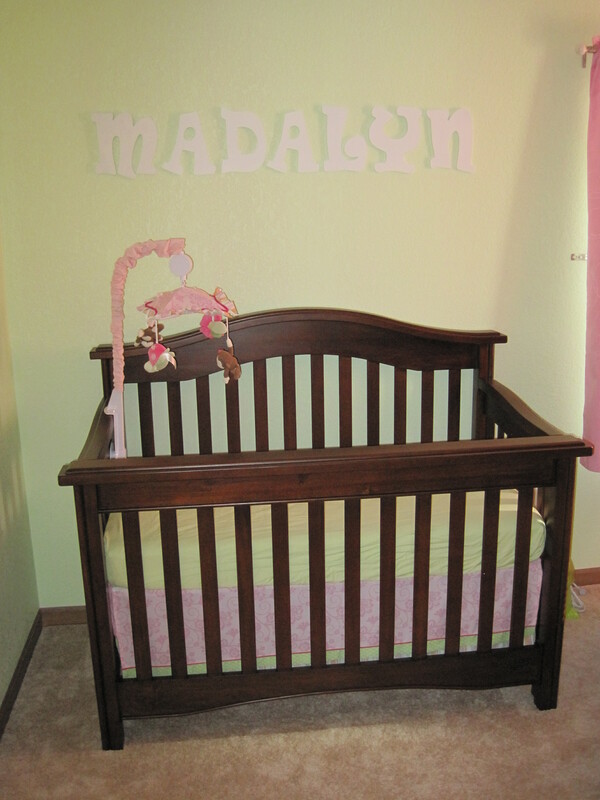 Madalyn’s room is painted a minty green and really compliments the rest of the pink everywhere! 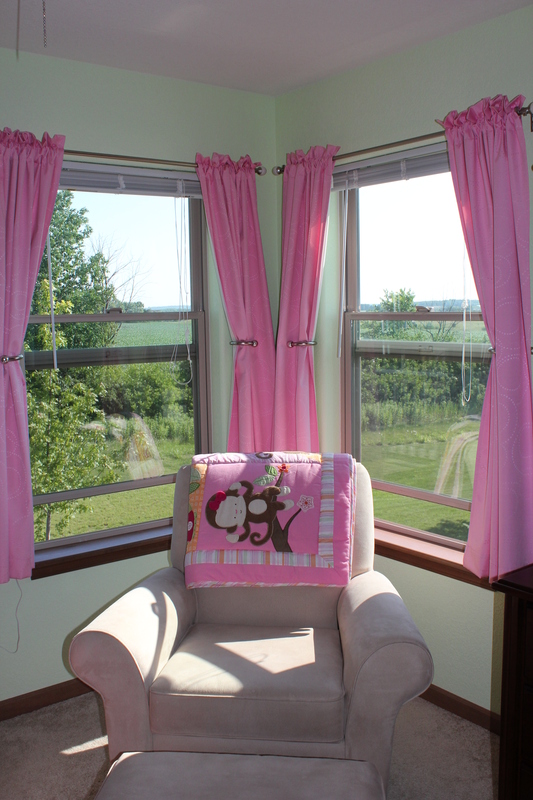 These are the curtains that hung in Maddy’s room before. And like I said, that’s all I have…but…changes to come!